Startup Games is excited to announce our return to Atlanta! Last season we had so much fun interacting with the local startup and corporate communities that there was no question whether we would return to defend our title as the ultimate team building competition. 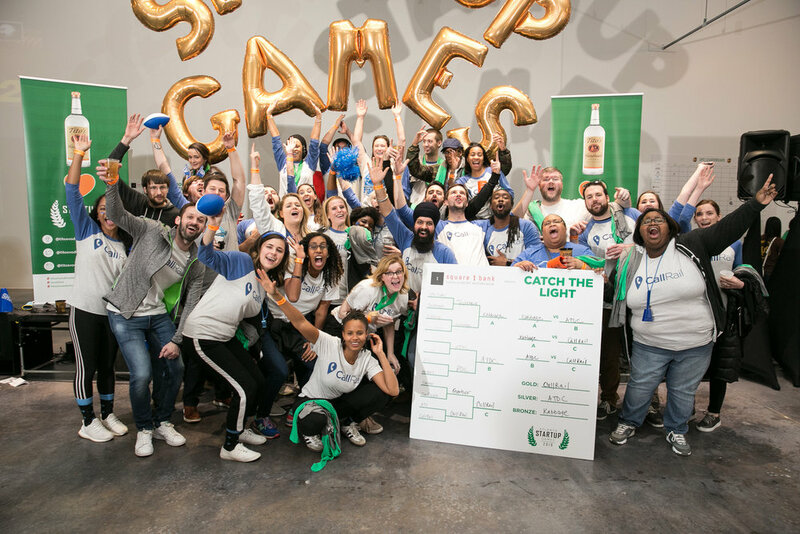 Startup Games joins employee engagement with sustainable CSR practices, making it a one of a kind competition for companies of any size. We still have room on our team roster, but spots are filling up fast! Companies with at least 25 employees looking to strengthen their internal relationships and establish an annual philanthropic event are encouraged to inquire below. Past teams include ATDC, A3C, CallRail, TenRocket, The Farm, Gather Technologies, WeWork, Techstars Atlanta, Kabbage, Atlanta Tech Village, and Supply.com. During our inaugural event in Atlanta, we donated $25,000 to nonprofit organizations while local enterprises battled it out in ping pong, pop-a-shot, and an unforgettable dance battle. We can’t wait to bring the fun back to Atlanta and hope you’ll join us!